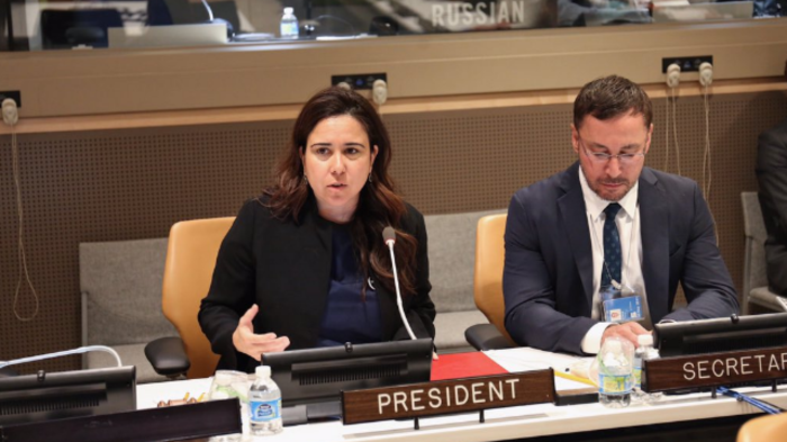 UAE’s United Nations Ambassador Lana Zaki Nusseibeh will lead the UN-Women Executive Board – being the first female Arab president since its formation in 2010. UN-Women Executive Board strives to promote equality among genders while abolishing discrimination against females around the globe. Nusseibeh, who is the UAE’s Permanent Representative to the UN in New York, announced that the following year will be crucial for the board, which hopes to put in place a new plan for 2018-2021. She has taken the reins of the board from Tunisia’s Mohamad Khaled Khiari. #UAE Permanent Representative to @UN elected President of @UN_Women Executive Board for 2017. “Gender equality is of paramount importance to the UAE,” Nusseibeh said in her acceptance speech, according to UAE’s official news agency WAM.